Ventura, California Car Accidents Lawyers with Over 40 Years of Experience and Success Rate of Better Than 95% in Winning Wrongful Death & Catastrophic Injury Cases! Ventura (officially known as Buenaventura), California car, motorcycle, bicycle, truck & pedestrian accidents cause devastating injuries and sometimes even wrongful deaths with overwhelming problems for victims and their families. Our injury accident attorneys understand this and we genuinely care about helping you. When you are in a Ventura, Los Angeles or Santa Barbara accident, your life can change immediately. You cannot control what happens in the accident, but you certainly can control what happens after the accident. Call us now and let us help you now. Call 1.866 INJURY 2 or 818-222-3400 (after hours dial 1). Ventura car accident collisions cause substantial losses, serious injuries and at times wrongful death. Our Ventura wrongful death, car accident personal injury claims attorneys have a success rate of better than 95% in winning thousands of personal injury and wrongful death accident cases in Ventura, Oxnard, Simi Valley, Los Angeles, Santa Barbara and throughout California. Having 40 years of experience in handling and settling thousands of car accident, motorcycle accident, truck accident, bicycle accident, pedestrian accident and other serious injury accident claims, we are a very established law office offering our legal services for Ventura, Oxnard, Simi Valley, Camarillo, Ojai and all places in or near Ventura. 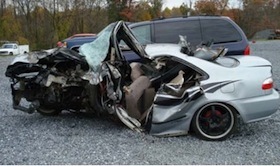 Our highly qualified and very experienced car accident injury attorneys know how to handle car accident cases, from getting damaged cars towed and repaired or total loss claims settled to instant medical care without payment due until your case is resolved, to maximum settlements while providing legal advice and clear explanations of the claims process. To have a better understanding of what others think and say about our law firm, please visit our testimonial section. There are many time rules (including the California statute of limitations) and procedural rules (e.g., in car, motorcycle and truck insurance policies, the California DMV, etc.) so please do not wait and lose your rights. Too often potential clients contact us AFTER the California statute of limitations has passed and there is nothing anyone can do to help them. Please do NOT let that happen to you – Please contact us at 818-222-3400 or 1.866 INJURY 2 (after hours just dial “1”) for your FREE & CONFIDENTIAL consultation and case evaluation. Our attorney consultation is absolutely FREE and if we take your injury accident case, our Ventura injury attorneys work on a contingency fee, which simply means there is NO fee to you until you WIN! Having 40 years of experience and membership with California State Bar. Served as Chairperson of the Civil Litigation-Tort Section of the Westwood Bar Association. For more information about our personal injury & wrongful death accident attorneys and law firm, please visit our home page. If you have been involved in a Ventura, Oxnard, Simi Valley or Camarillo car accident or any motor vehicle collision, call us right now for your FREE & CONFIDENTIAL car accident personal injury advice. You also may simply go to our contact us form and tell us about your car, truck, motorcycle, bicycle or pedestrian accident case or any other injury accident case you had. Also, for more information please view our lawyer profiles to know more about our skilled and experienced lawyers. In addition, learn about the formalities, procedures, and rules associated with Ventura personal injury and wrongful death claims by visiting our Car Injury Accident Web Site; and to know more about your particular car accident injury case just call us now at 818-222-3400 or 1.866 INJURY 2 (after hours just dial “1”) for your absolutely FREE & CONFIDENTIAL consultation on your car accident injury case. Our car accident injury lawyers offer FREE legal consultations and evaluations on Ventura, Los Angeles and California car accident claims and take our clients’ cases on a contingency fee basis (which means you pay no fee until you win) with utmost concern and priority. Our very experienced Ventura, Oxnard, Simi Valley and Camarillo car accident personal injury & wrongful death accident lawyers and legal team are understanding and considerate towards our clients, yet extremely aggressive against the responsible parties and their insurance companies. One should remember that in most cases the responsible parties are insured and their insurers are responsible to both defend and pay the settlement (called indemnification) of the responsible parties. In other words, usually the settlement money comes from an insurer and not any individual person. Vehicle Repairs: The car, motorcycle, & truck collision accidents in Ventura can cause huge damages to cars, trucks, and motorcycles. Our Ventura accident lawyers and law offices help you with vehicle repair, storage, towing and, if appropriate, total loss replacement and free car rental. Cash Advances/Emergency Loans: Ventura, Oxnard, Simi Valley and Camarillo car accidents can reduce your finances especially with unexpected medical bills and added expenses to take care of at a time when you may miss work and suffer a loss of wages, earnings and income. Our experienced Ventura car accident lawyers and law offices will assist you in receiving loans and advances to meet these additional expenses. Transportation to Doctor: The car accident lawyers in Ventura, Oxnard, Simi Valley and Camarillo help clients in finding doctors, arranging appointments and, whenever appropriate, arrange transportation for injured clients to and from the hospital, medical clinic and other doctor and physical therapy appointments. If you need any kind of assistance with transportation, just let us know as soon as possible. Ventura, officially the City of San Buenaventura, is the county seat of Ventura County, California, United States. Ventura is the nickname and common name for the City of Buenaventura in the County of Ventura. Ventura lies along the Pacific Ocean, between Los Angeles to the south and Santa Barbara to the north, and is a travel destination for many tourists, especially from Los Angeles. The European explorers first encountered a Chumash village, referred to as Shisholop, in Ventura while travelling along the Pacific Coast. The town grew around the mission compound and became incorporated in 1866. The development of nearby oil fields in the 1920s and the age of automobile travel created a major real estate boom during which many designated landmark buildings were constructed. Ventura lies along U.S. Route 101 between Los Angeles and Santa Barbara, which was one of the original U.S. Routes. 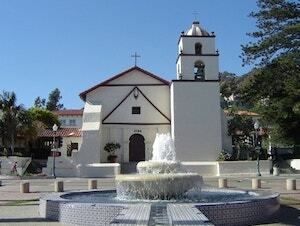 The highway is now known as the Ventura Freeway, but the original route through the town along Main Street has been designated El Camino Real, the historic pathway connecting the California missions. During the post World War 2 economic expansion, the community grew easterly, building detached single-family homes over the rich agricultural land created by the Santa Clara River. Ventura is a part of the greater Los Angeles metropolitan area. Ventura continued to grow steadily snce 1920. In 1920 there were 4,156 people. In the year 1930 the population had increased to 11,603, by 1950 the population reached 16,643, by 1970 the population was 57,964 . 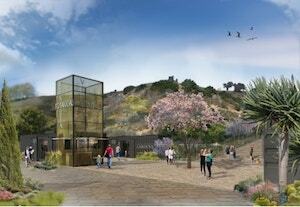 As per the 2010 census, the population of Ventura was 106,433. Ventura is located northwest of Los Angeles on the California Coast. The western portion of the city stretches north along the Ventura River and is characterized by a narrow valley with steep sloped areas along both sides. The steep slopes of the Ventura foothills abut the northern portion of Ventura. Much of the eastern portion is on relatively flat alluvial coastal plain lying along the western edge of the Oxnard Plain. According to the United States Census Bureau, Ventura has a total area of 32.1 square miles out of which 21.7 square miles is land and 10.4 square miles is water. Ventura has a Mediterranean climate, typical of the most coastal California cities, with the sea breeze off the Pacific Ocean moderating temperatures. 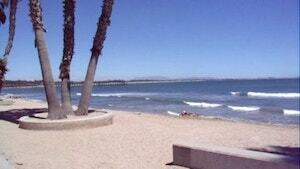 Ventura is a destination for tourists and is popular for people living in Southern California. They enjoy the relaxing atmosphere and ambiance with activities such as walking on the beach and other outdoor activities and sports like kayaking. Ventura is famed for the quality and frequency of its surfing conditions. The Ventura County Fairgrounds is the home to Ventura Raceway. Ventura is the home to the soccer clubs Ventura County Football Club and Ventura County Fusion. Fun destinations include the Ventura Harbor, Channel Islands National Park and Ventura Pier. For an easy, free, and confidential consultation, fill-in the details in our contact us form to let us know about your Ventura or other California car accident claim or any other injury claim. As you see, we offer an absolutely FREE & CONFIDENTIAL consultation for new Ventura accident cases and there is no fee until you win. We work on a contingency fee for our services on accident cases – which means you pay us no fee and we do not get paid until you WIN!